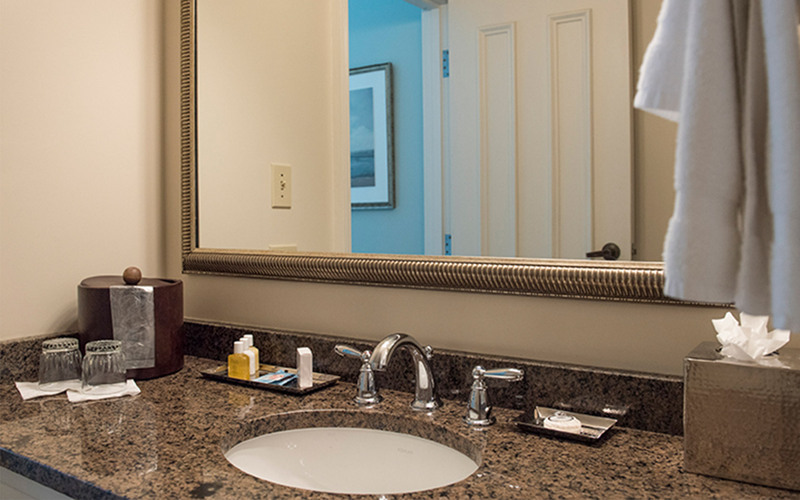 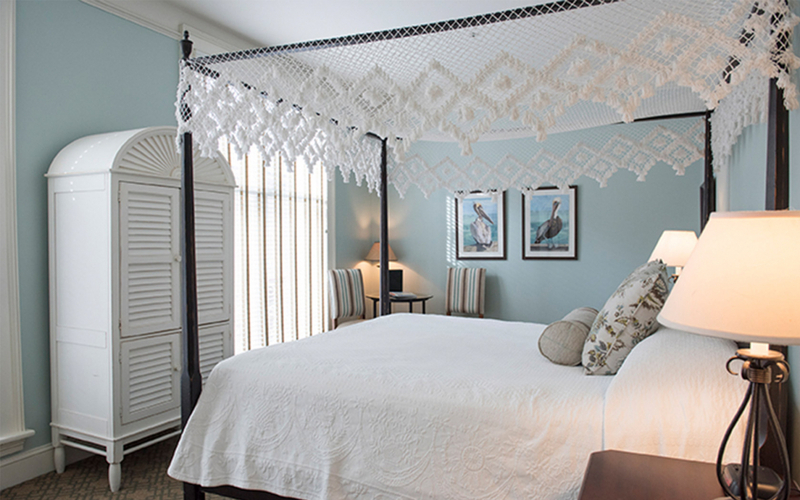 Each of our uniquely appointed guest rooms and suites features picturesque furnishings and thoughtful amenities. 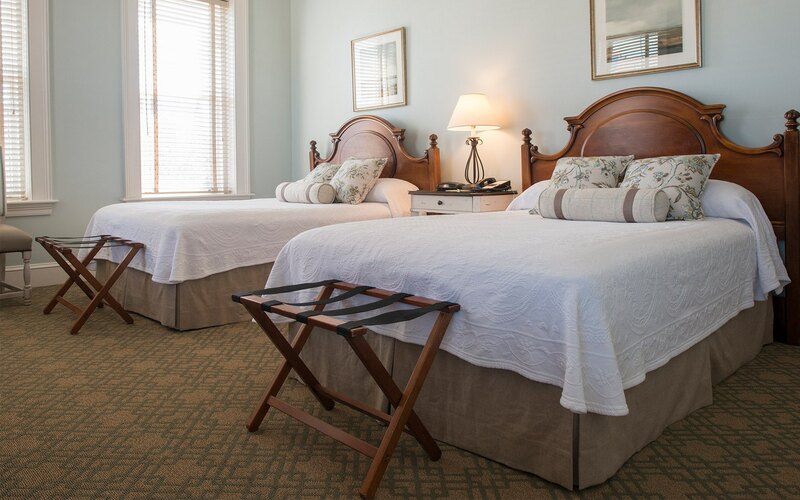 Whether you join us in a romantic Deluxe King or a family-friendly Two Room Suite, you're sure to find complete comfort at the Fulton Lane Inn. 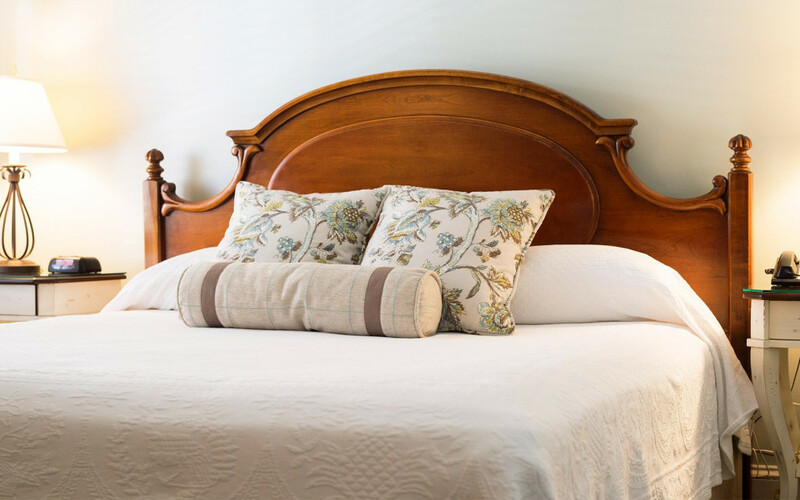 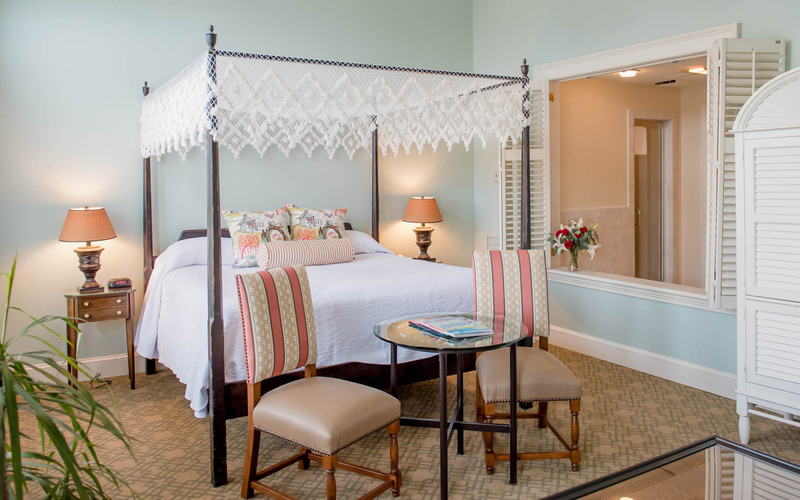 With complimentary breakfast in bed, free Wi-Fi, and gorgeous whirlpool tubs, canopied beds, and antique fireplaces in select rooms, Fulton Lane Inn is sure to become your very favorite amongst top Charleston hotels and inns. 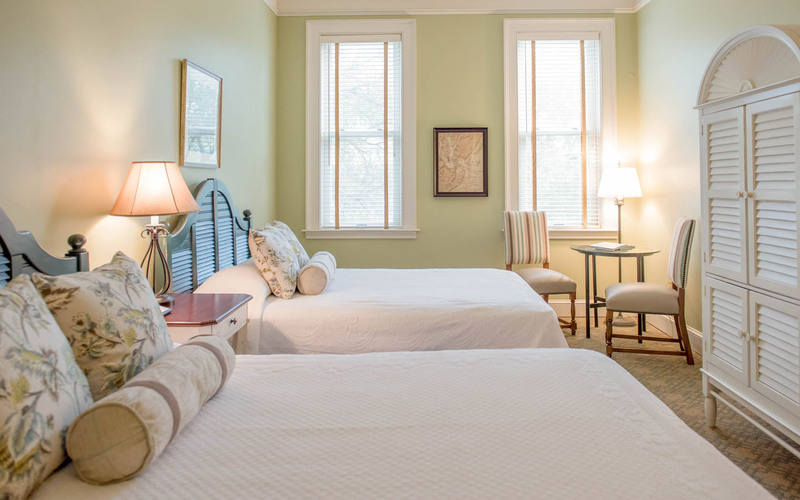 We welcome guests and groups of all shapes and sizes, so whether you’re traveling with family, a loved one, or even on a solo adventure, our historic Charleston accommodations are perfectly suited to meet your unique needs. 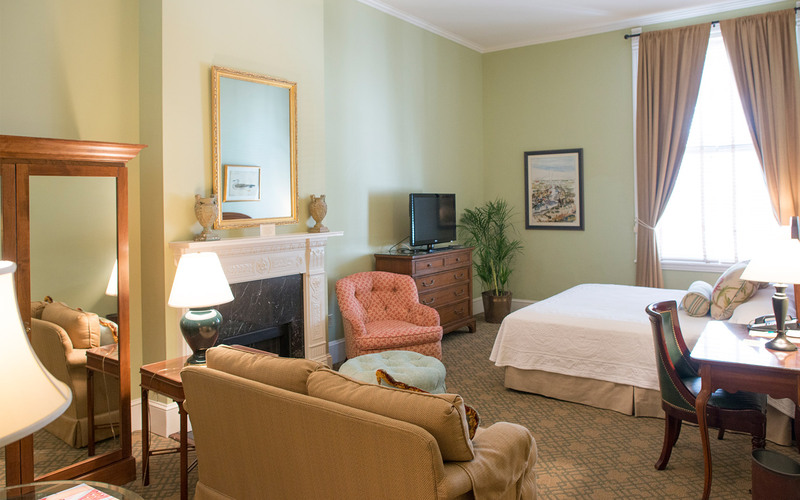 After a day of exploring our cobblestone streets, taking Charleston carriage rides, and going on exciting ghost tours, there’s nothing quite like coming home to your own luxurious, spacious suite, just steps from some of the Holy City’s top attractions. 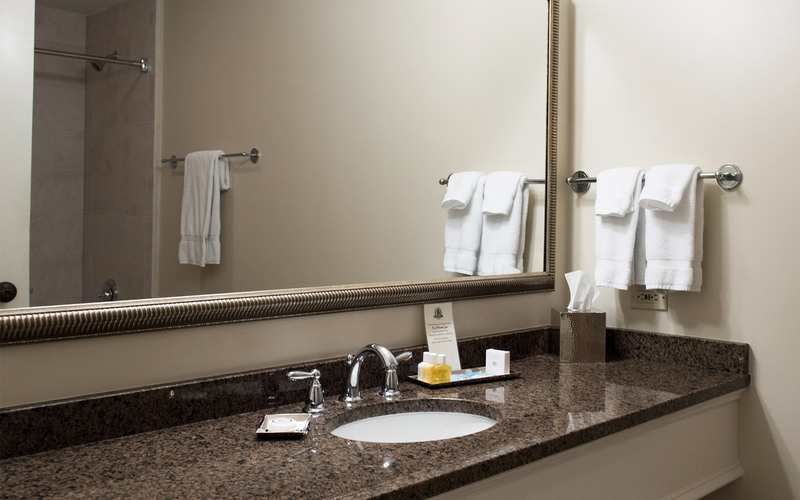 Settle in for a truly relaxing stay in one of our spacious standard rooms. 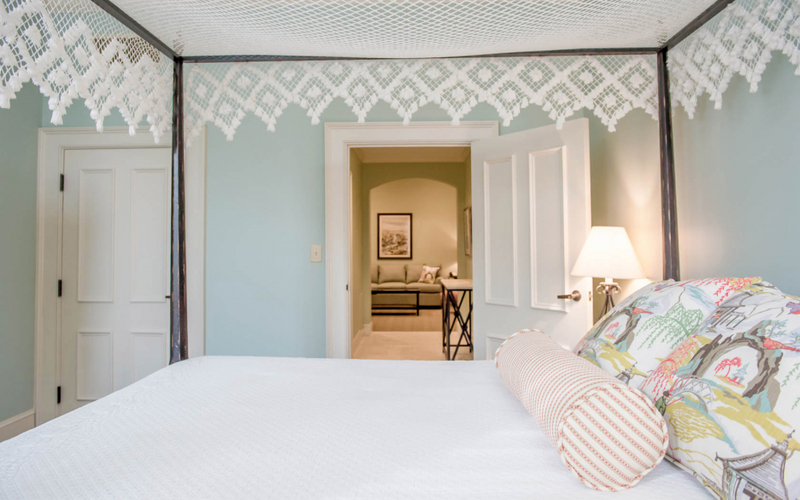 These rooms are stylishly appointed in the airy colors and refreshing furnishings that you might find in a seaside Charleston home. 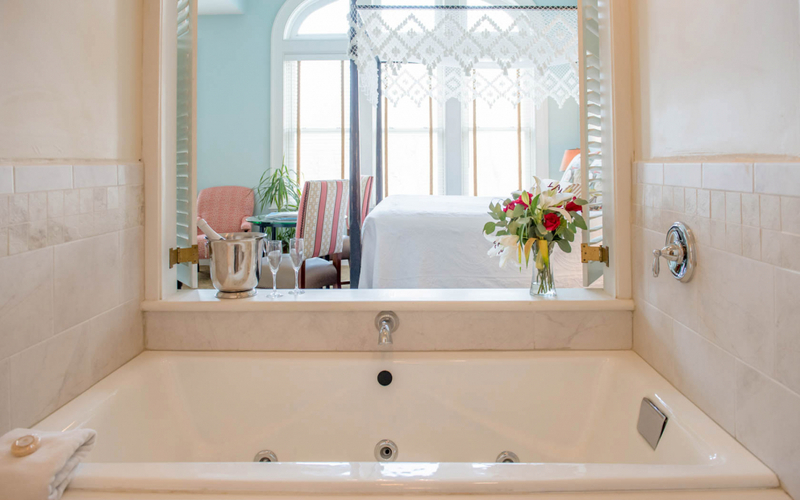 Utterly unique in design, each of our Deluxe King rooms are decorated in fresh, relaxing colors and light-colored woods and feature two-person whirlpool tub, canopied beds and fireplaces (in select rooms). 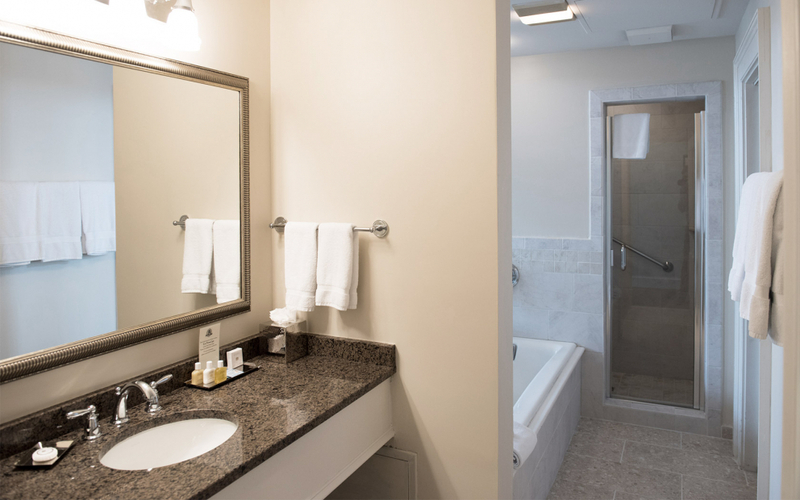 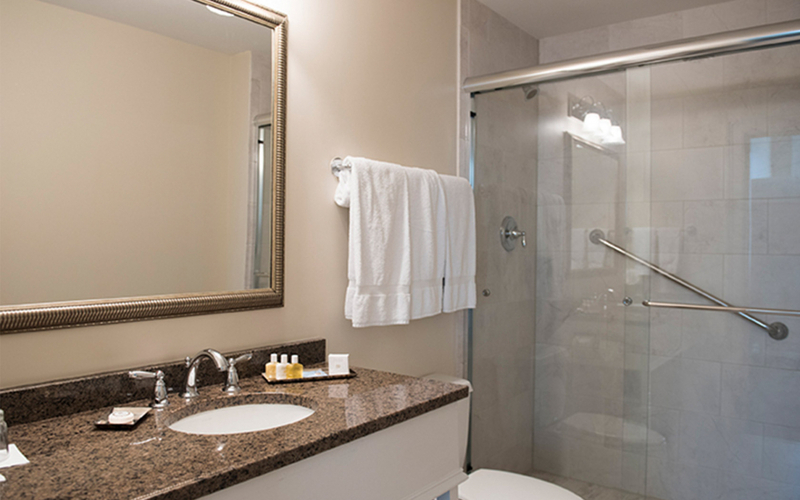 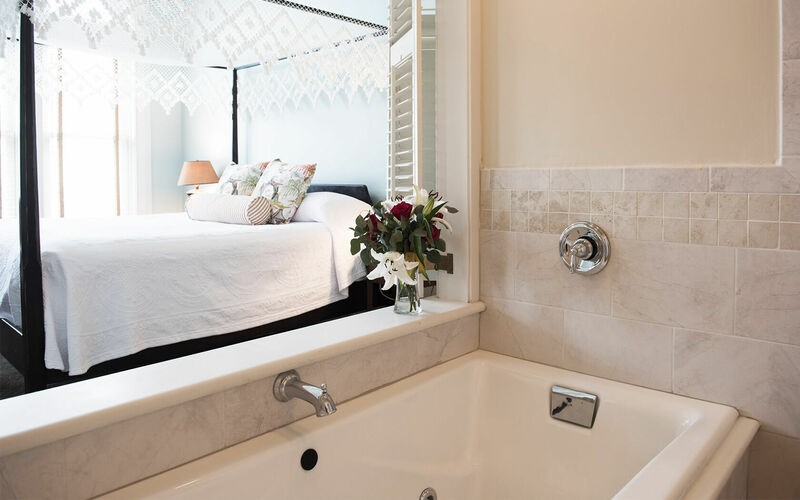 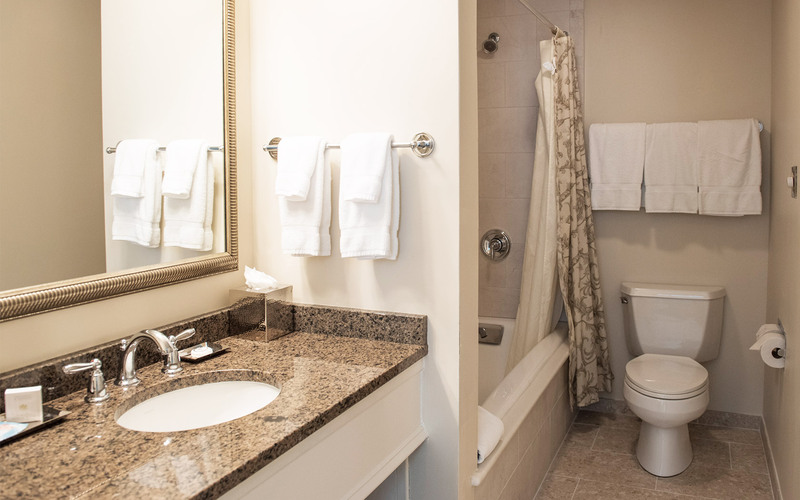 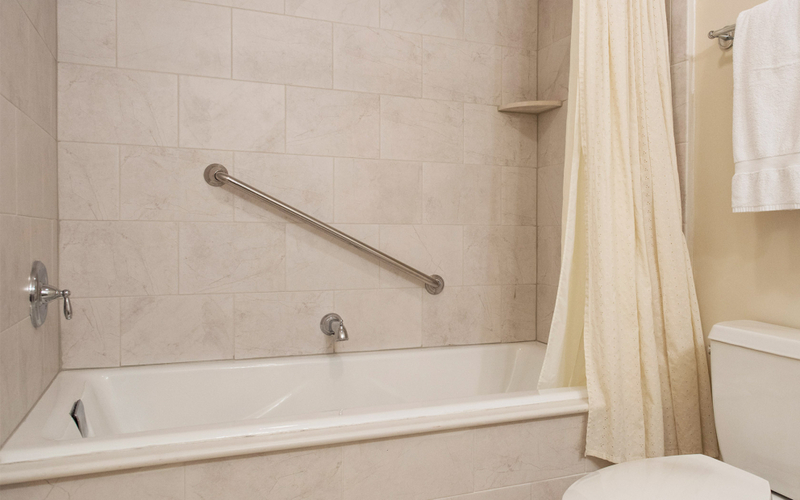 Lovely King Street views and wonderfully tall ceilings are just the beginning in our Petite Suites, which also feature a sitting area with a fireplace and a spacious bathroom with a two-person whirlpool tub and separate shower. 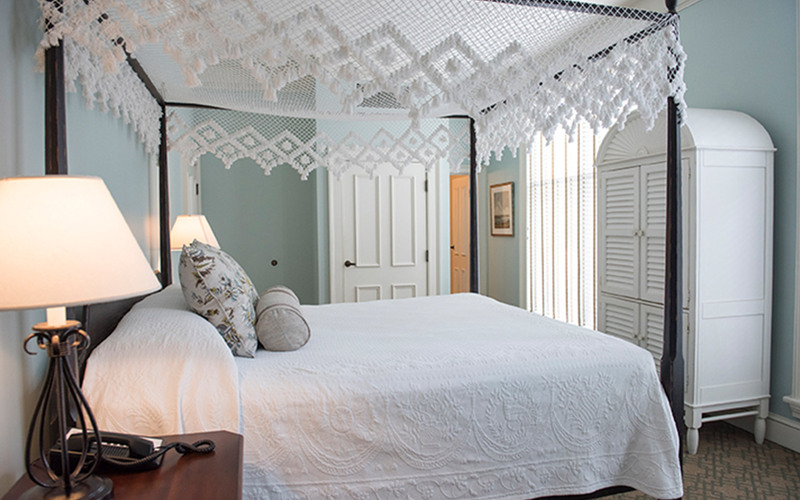 These gorgeous suites offer a bedroom with a canopied king-size bed and a TV, a separate living room with a TV and queen-sized sofa bed, and a bathroom with a two-person whirlpool tub. 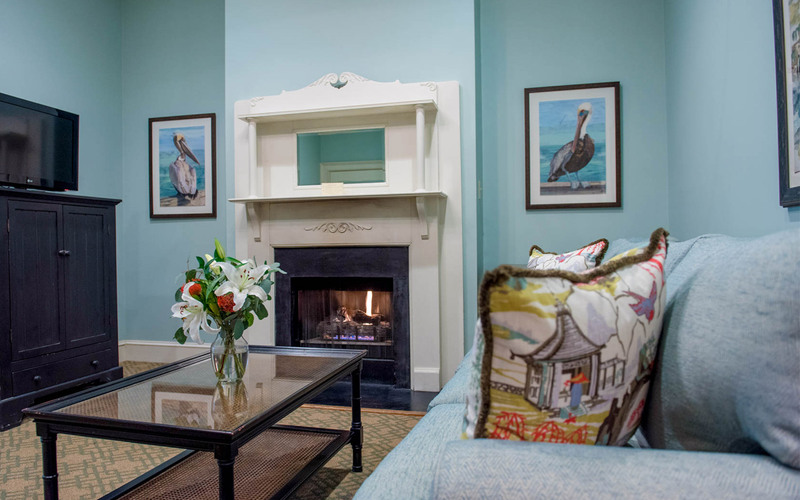 Suite also features a fireplace. 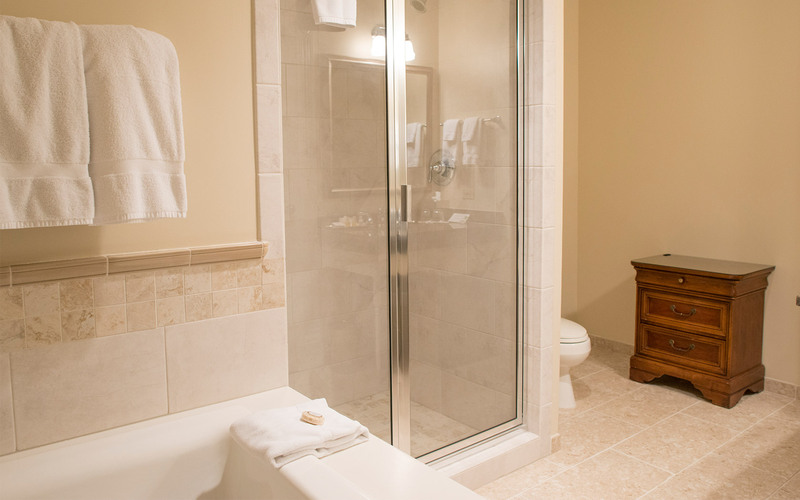 Built for a romantic retreat, the Cathedral Suites feature vaulted ceilings, large windows with King Street views, a bedroom and sitting area, and a bathroom, highlighted by a two-person whirlpool tub with shutters that open into the bedroom.